For current weather conditions and a 5-day forecast click here. 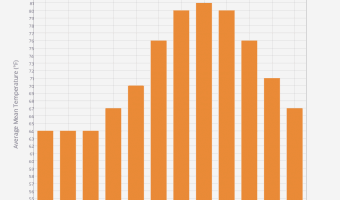 Though the chances are slight, September is the likeliest month for a hurricane. The weather cools slightly in September from its August high. 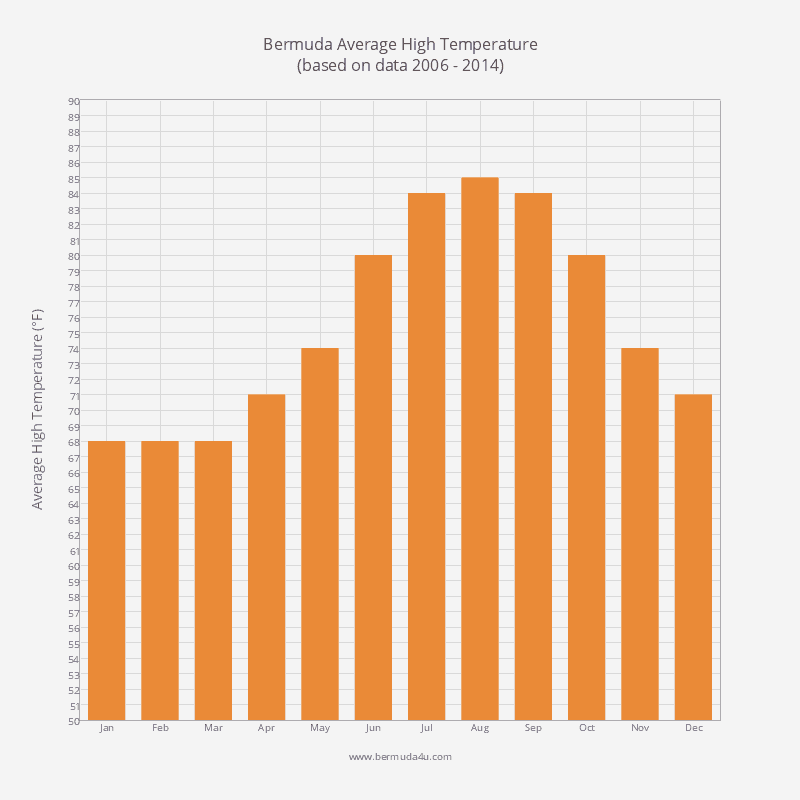 Although with a daily high air temperature of 84 F, September is the second hottest month of the year. Most cruise ships are still visiting the island and although the summer season is drawing to a close, hotels are still charging peak rates. The water is around 83 F and is great for swimming and snorkelling. Underwater visibility is around 100 feet and divers will feel comfortable in a shorty. Expect around seven hours of sun each day, about average for the year. The sun rises at around 7 am and sets at approximately 7.30 pm. Events taking place include Harbour Nights, Summer Sundays in the Park, and Gombey Saturdays in the Park. The seasonal ferry from Royal Naval Dockyard to St George is operational. The only public holiday in September is Labour Day. September is a pretty good month for deep-sea fishing with plenty of blue marlin and yellowfin tuna in the water. 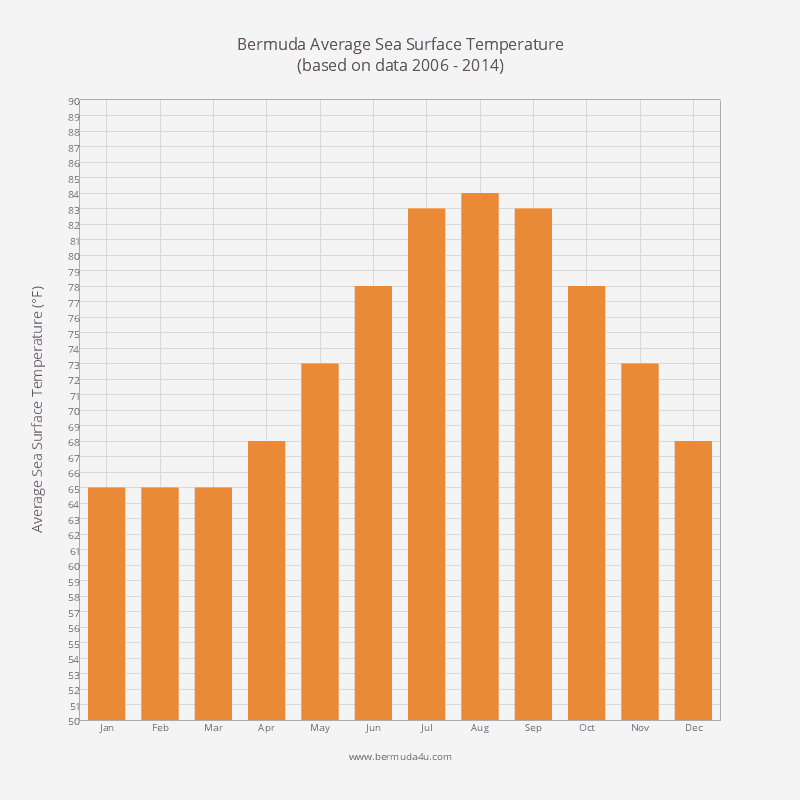 September 1 is the first day of Bermuda’s 7-month lobster season. You can now try Bermuda’s delicious spiny lobsters at restaurants such as the Lobster Pot and the Port O’ Call. 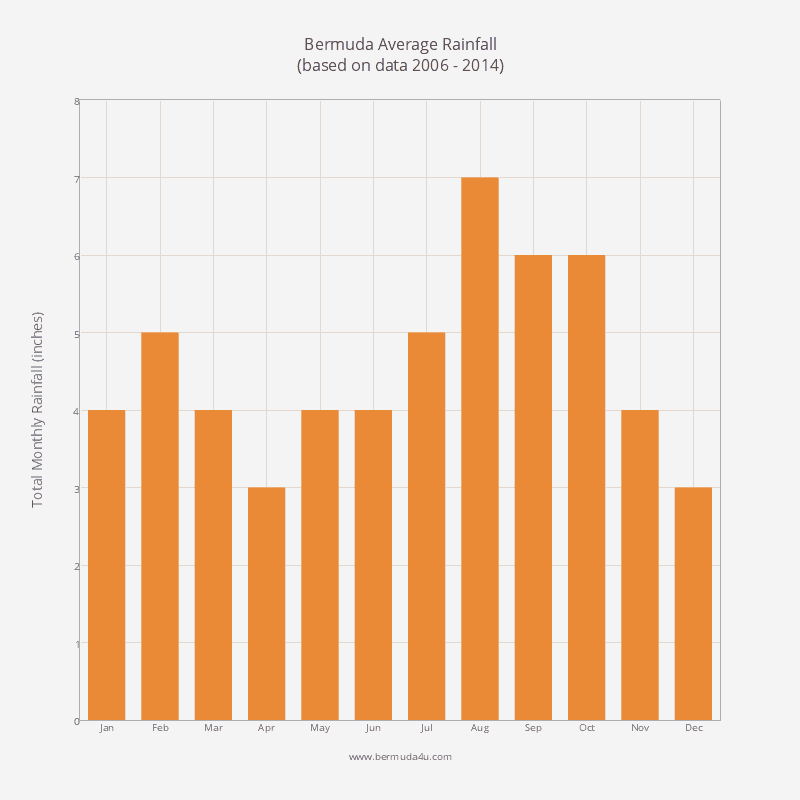 September falls within Bermuda’s hurricane season. 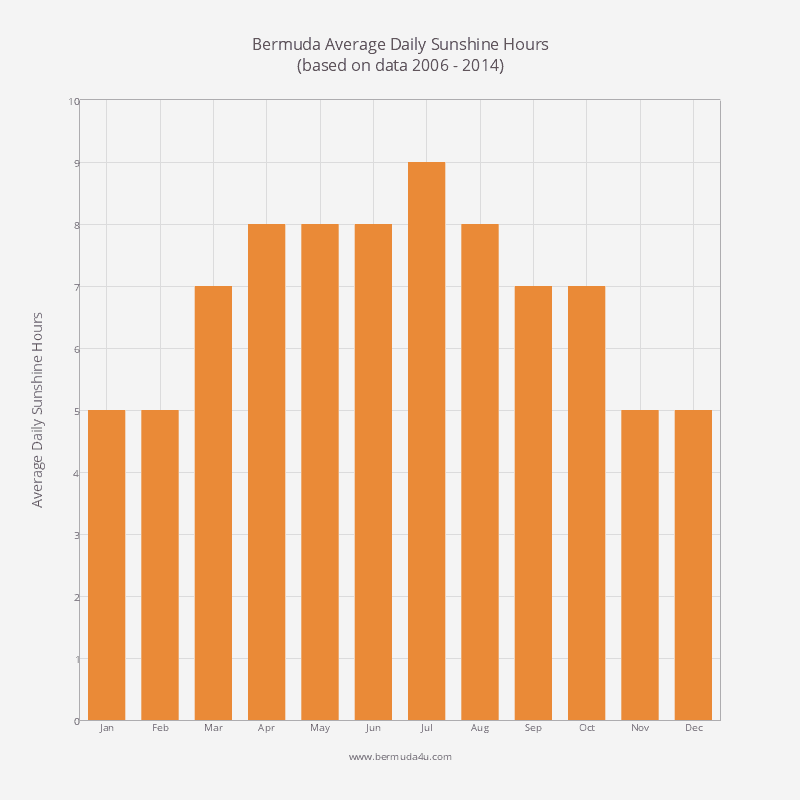 In recent years several devastating hurricanes have hit Bermuda during this month. The worst was Hurricane Fabian in 2003. It hit the island directly, causing 4 deaths. Hurricane Emily in September 1987 also caused significant damage. The chance of a destructive hurricane is still quite small though and the island’s buildings are constructed to withstand them. Any damage tends to be to power lines, trees etc. The average daily high temperature in September in the last few years has been 84 F, making it the second warmest month of the year. 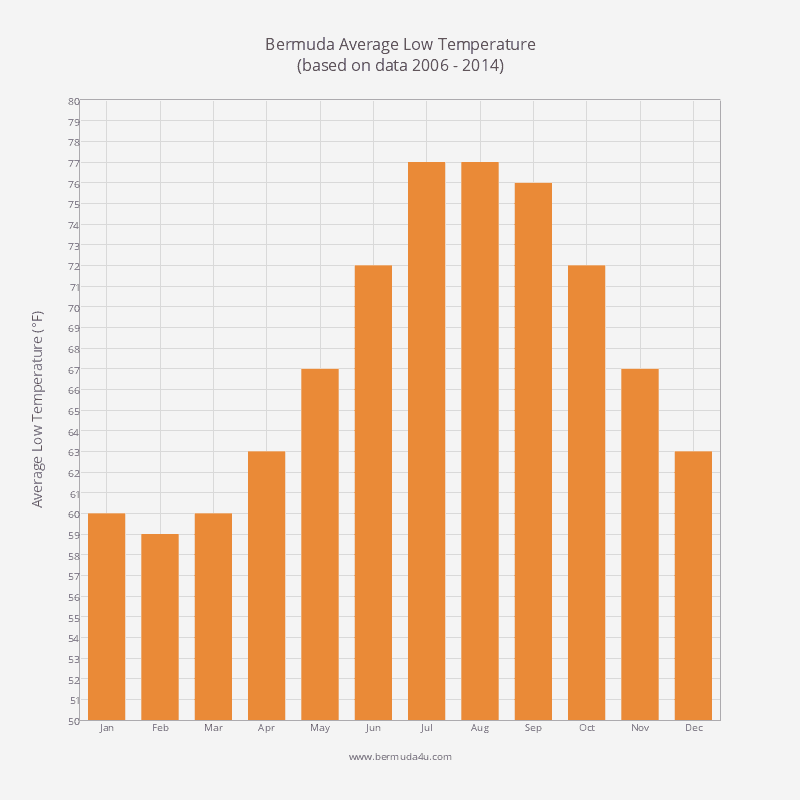 The average daily low temperature in September is a respectable 76 F.
September’s average mean temperature in recent years has been 80 F.
The average water temperature is 83 F, ten degrees higher than annual average. In recent times, September has experienced rainfall slightly above annual average, although the data is skewed by unusually wet months in 2010, 2012 and 2013. There’s no predictable rainy season though. In September 2007 rainfall was well below average. Expect around seven hours of sun on an average September day. Mean relative humidity for the month is above average at 76.9 percent. 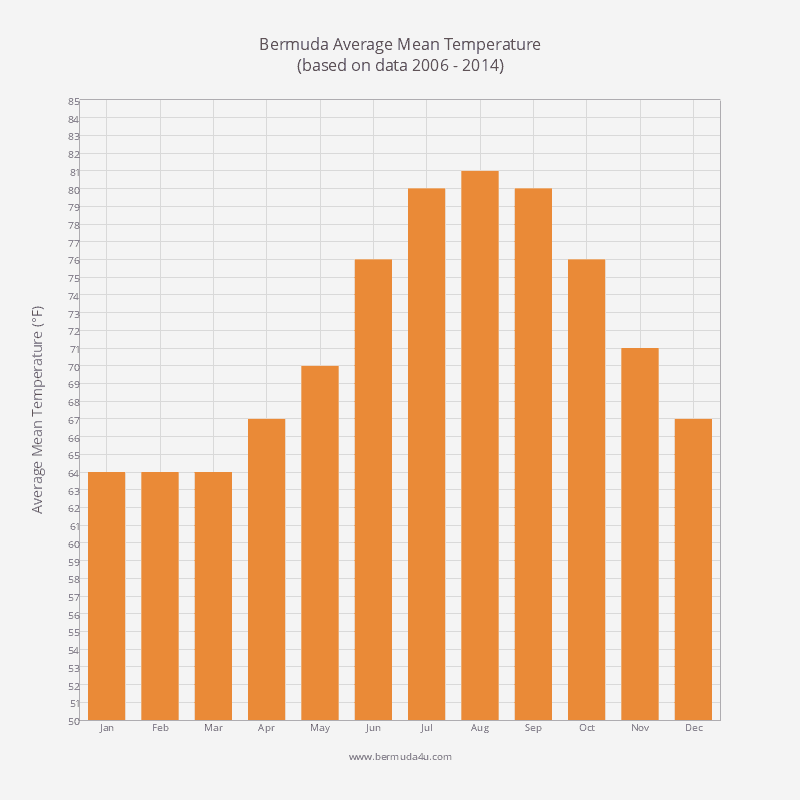 August is the hottest month of the year in Bermuda. 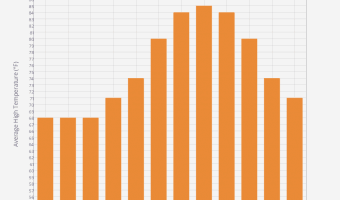 Find out exactly how warm it’s likely to be. October is the last month of the summer season but it’s still pretty good weather. 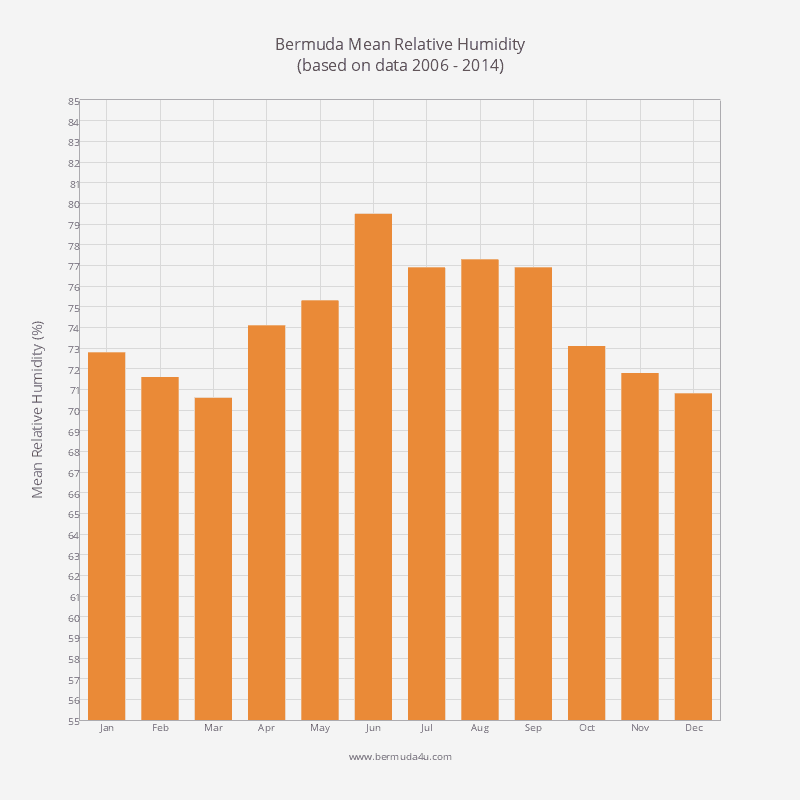 Find out the likely air and water temperatures, humidity, hours of sun, and more.